Forest cover in sub-Saharan Africa declined by nearly 10 per cent between 2000 and 2010. Of this loss, 75 per cent was caused by the conversion of forest to agriculture, largely for food production to serve rapidly growing domestic food demand. 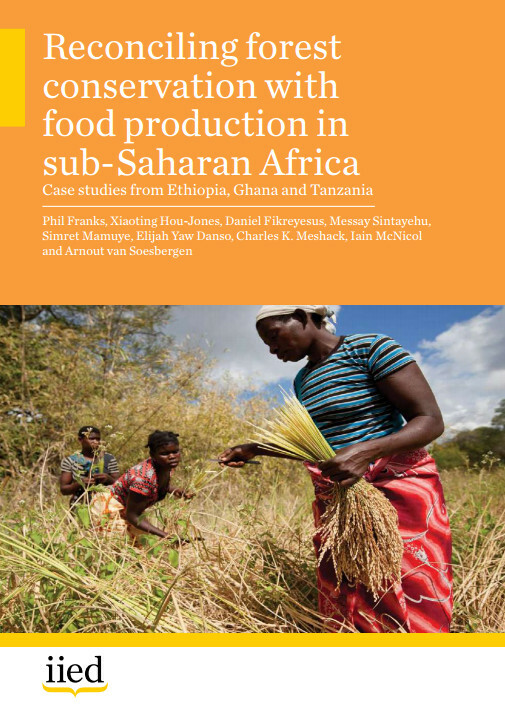 Focusing on Ethiopia, Ghana and Tanzania, this study examines the very real trade-offs that exist between conserving forests and increasing food production. It explores how these trade-offs might be better managed through informed choices about where and how to intensify agriculture, and which areas of natural forest to conserve and which to lose. Inevitably, a considerable area of natural forest outside of reserves will still be lost, but less than would otherwise be the case, and more key forest ecosystem services will be preserved.